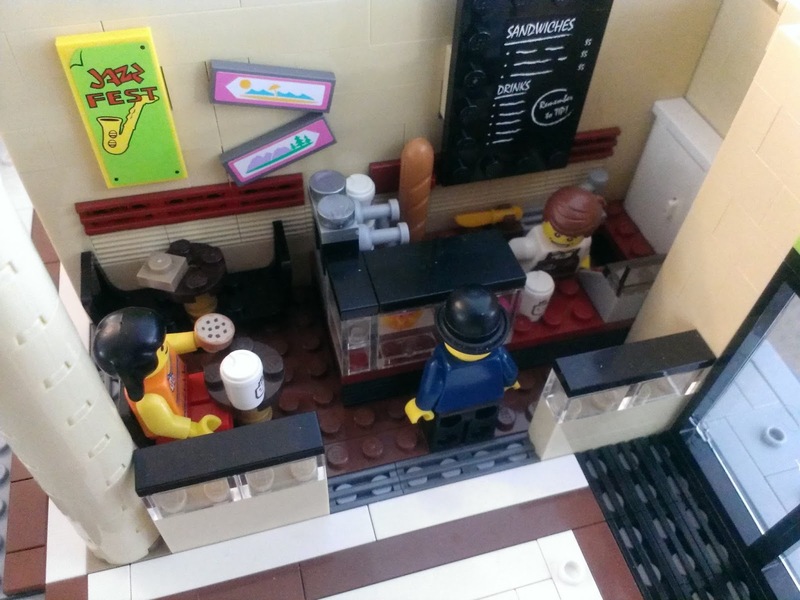 My mall is nowhere near large enough to warrant a full-on food court, but this little first floor cafe is one of three small vendors of edibles currently in the plan. Will we be seeing a video update soon? Amazing! this looks like a sandwich and coffee shop. You should make a pretzel shop. That looks great Jang! I noticed that you used Lisa Simpson's 'Jazz Fest' poster, nice touch! I can't wait to see the final product!